Ever year the religious right boycotts various companies for Christmas because Jesus wouldn’t shop at a store that doesn’t advertise Christmas sales or something. Evangelicals have used multiple reasons for their nonsense. Starbucks holiday cup didn’t specifically say “Christmas.” Target lets transgender people use the restroom. J. Crew doesn’t use nativity scene clipart to sell sweaters. 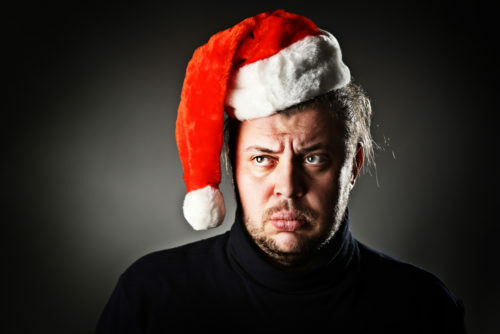 Now two anti-LGBTQ hate groups have issued their yearly “naughty or nice” list (despite Santa’s absence from the Bible) and the reasons they’ve targeted some companies is just as laughable. Related: Did Starbucks put a lesbian couple holding hands on its Christmas cup? AFA has been boycotting Target for years now. The company’s sales and stock prices have increased since the boycott launched. “Christmas is mentioned, but it is not the main focus,” they write seemingly oblivious to Jewish shoppers despite their nonstop blathering about how much they support Israel. Other stores making Liberty Council’s list include Barnes & Noble (“Although this store sells Christian products, this bookstore has lost focus on the Reason for the season!”), Burlington Coat Factory, (“severe lack of Christmas advertising with biblical meaning”), and Lord & Taylor (“reindeers and Santas hide the love of the Nativity”).